It’s been a year ago since I started to follow the calling of the heart. It took me all the way, overseas, to hike the Pacific Crest Trail. Yes I followed it, and bam, big fears came up immediately. What if I don’t have enough money to hike the trail, what if I don’t have enough money when I get back home, what about my job as a yoga teacher, will I still have work when I come back? Can I find someone to rent my apartment? To rent my car? Will I be strong enough to hike so many miles for so many months? What if I don’t like it? Will I meet others? Will I be safe out there? What if I do like it and never want to go back home? What if I get depressed after the trail? What if, what if… So many fears, so many worries. I’m just not good enough. Not worthy enough. Not strong enough. My mind was racing, telling me this was not a wise thing to pursue. Because of all the uncertainties. Because a normal, good citizen should at least have money in the bank for retirement for example. Not having enough savings felt really uneasy and scary for me. But the calling of the heart was so much stronger than the mind. And I truly believe this should be the case, in any case, at any given moment in your life, whatever it is. Follow the heart, the mind will follow. That’s being alive to me. 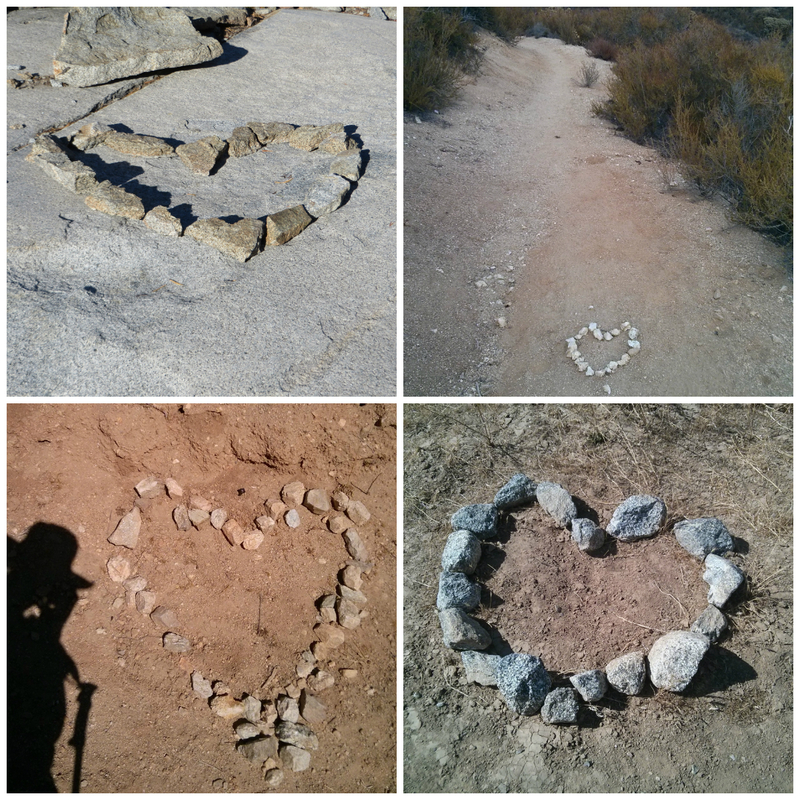 Following the heart(s) on the trail. That you should always, always, and always listen to the calling of the heart. No exceptions. That you can choose to believe your thoughts. Or not. It’s totally up to you. Thoughts are just thoughts. They come and go. They change. They modify. They morph into other thoughts. If you choose to believe them, you better make sure that they’re positive. Yes of course you can think negative thoughts. And choose to believe them. You can think positive thoughts. And choose to believe them. “I can do this”. “I can’t do this”. What sounds better? Is your bottle half empty or half full? That the heart speaks the truth. Your truth, not somebody else’s. That the mind is tricky. What happens when you expect a certain outcome? Exactly, you focus on the outcome and you’re blind for anything else. When you totally let go of any expectations, anything can happen. Even things that you never, ever, thought were possible. Life is one big adventure when you let go of your expectations or strict thoughts on how things should be in your opinion. Expect nothing, appreciate everything. That it is possible to be comfortable under any uncomfortable circumstances. That all the people you are going to meet are giving you back what you’re giving them. Yes, they are your mirror. That being able to share this experience with fellow thru-hikers and you is amazing and so much better than doing it ‘all by and for myself’. That the physical body is capable of everything. You just have to believe that you can do it. Whatever goal you have set for yourself. Give up the control and surrender to what is. You think you’re the one controlling your own life? Think again. A trick to listen to what the heart is telling you when your head is full of noise: just sit somewhere comfortably. By yourself. Without any distractions such as a phone, computer, radio or TV. Close your eyes and concentrate on your breathing for a while. Notice how you are breathing. See if you can breathe deeper and slower. Don’t force it. Just let it happen. Bring your attention to the heart centre. Feel the emotions of the heart. What is it that makes you happy. Try not to think about it too much. Just feel into it. That praying helps. Even if you don’t believe in a God, even if you’re not religious, you can still pray. Ask for guidance in the process of following your heart’s voice. When you follow the calling of the heart and you practice this constructively it will make you a happier person. And when you’re doing things that make you happy, you will radiate and shine so bright, that you will attract other people, automatically. They will become happy and inspired because of you, and they can bring happiness to others, and so on, and so on. So follow that heart. 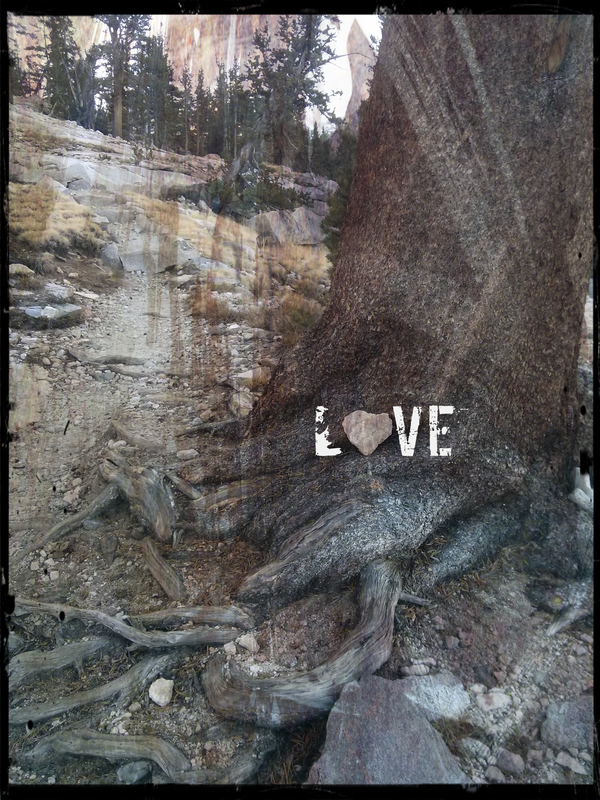 Share your love. You’ve got only one life to live. So glad i found and followed you. Always inspiring! Samenvatting van een 4 jarige yoga-opleiding; mooi Viola! Succes met je volgende “trail”, wat het het ook moge zijn. Groet ! Dank je wel Jan Willem. Ha Coen thanks! Ik kom binnenkort bij Zwerfkei langs om mijn slaapzak en donsjas te laten wassen. Misschien tot dan!